Dr Amanda Piesse, lecturer in English Literature and Children’s Literature in Trinity College Dublin, has written a wonderful essay about The Wordsmith by Patricia Forde for Little Island. Patricia Forde’s The Wordsmith conjures a post-apocalyptic society, Ark, where natural resources are in short supply and carefully measured out. There, language too is being forcibly rationed; it is limited to a proscriptive core vocabulary, List, in order to sequester and suppress knowledge, understanding, autonomy and self-expression, all in the name of survival. Forde’s aptly-named apprentice wordsmith Letta, far from being allowed to be a creator, is at best a curator of the words and concepts being withdrawn from circulation, at worst complicit in the cultural control that Ark’s founder, John Noa, deems necessary. Letta already carries a catalogue of loss. Her parents set off in search of something better when she was a small child, leaving her in the care of master wordsmith Benjamin. She knows little of her own kinship history, but her apprenticeship gives her access to a unique historical cultural understanding. When her much –loved master fails to return from an official field trip, and the explanation given by Noa simply doesn’t tally with the material facts, Letta finds herself turning to the marginalised members of the counter-cultural movement –to the musicians, the artists and the poets, for whom the act of poetry is a rebel act – in her search for a better understanding. The novel, set in the future, speaks simultaneously to the past and the present. One of the wordsmith’s tasks is to supply uniquely branded tally sticks to the primary school, a notch to be added for each use of a non-List word, fifteen notches to result in expulsion from the community. From this moment, the whole novel resonates with an extra paradigm of representation, the suppression of Irish under colonial oppression. At the same time, specialist vocabularies are available and allowed to specialist workers, from healers to gavvers (the word Forde borrows from Romany to denote the brutal and rather dull law enforcers), creating closed and exclusive communities of expertise. Only the wordsmith has access to them all; everyone else outside of these corporate clusters has no access to their language, and little access to their concepts, and is thus unable to intervene in their practices – a particularly modern complaint. The novel aligns its readers with the position of the wordsmith. It is thus at once entirely accessible and subtly nuanced. The characters are sensitively evoked; patterns of speech in particular identify and distinguish them. Forde looks at the question of language from the perspectives of a range of characters, in a range of vocabularies, and offers different articulations of and from a number characters – sometimes she tells us what they say, sometimes what they think, using List for one and a richer interior voice for another. This conjures countless possibilities for the direction that the plot might take. The piece’s own rich vocabulary continually reminds the reader of all that would be lost were that vocabulary not available to the telling of this tale. The structure of the narrative walks its reader through carefully calibrated degrees of dystopic experience which repeatedly invite reflection on different kinds of deprivation and damage, and different kinds of response to humankind’s relationship with its environment, its kinship groups and its means of self-expression. John Noa’s argument for the restriction of language is that nuanced language admits deceit, that plenitude in language encourages desire for excess, that hot words result in war, that comfortable words can conceal catastrophic procrastination. Forde’s novel demonstrates that, indeed, all of this is so, but that that is part of human nature (all Forde’s characters are caught up in moral conundrums, even her heroes) and that language is the solution as well as part of the problem, ‘the final sign/that we are human, therefore not a herd’. ‘We need words,’ [Letta] said. ‘Why can’t you see that? We can think because we have words. Without them, we won’t have memory to look at the past or imagination to glimpse the future. Without words we will be imprisoned in the here and now for ever.’ [Noa] shook his head. ‘Would that be so bad?’ he said. It’s an articulation towards which the entire novel has built, which the novel has already demonstrated with all the tools available to it. 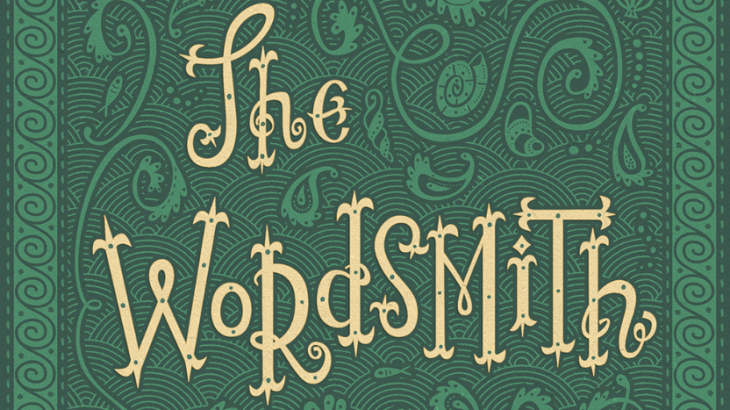 A novel in the tradition of Orwell’s 1984 and Hoban’s Riddley Walker, The Wordsmith reminds us all of the power and responsibility that comes with language, and of all that we lose if we neglect its power. It’s a work of art that contains within itself the reason why it is so and no other way. Launch forde, patricia forde, wordsmith. permalink.